EXCERPT: New blessings could be bestowed upon Old Cahawba Park this summer with the arrival of a student stationed in Selma with the Living Democracy program of Auburn University who has some plans for the parks. Living Democracy is a program at Auburn that takes anywhere from five to ten students and groups them in classes during the school year. They study subjects like community engagement and community journalism, all to train them for a summer in rural Alabama where they apply their education to making a difference. This year seven students are spread in areas like Bayou La Batre, Elba, Hobson City, Linden and Marion other than Selma. EXCERPT: HOBSON CITY — Audrey Ross sat at a table Wednesday explaining the rules of a card game called spoons to a group of children from Hobson City. The 19-year-old junior in the College of Liberal Arts at Auburn University is part of a year-long project at Auburn called the Living Democracy Program, which puts students in seven rural cities across the state. Other students are currently working in Bayou La Batre, Cahawba/Selma, Collinsville, Elba, Linden and Marion. 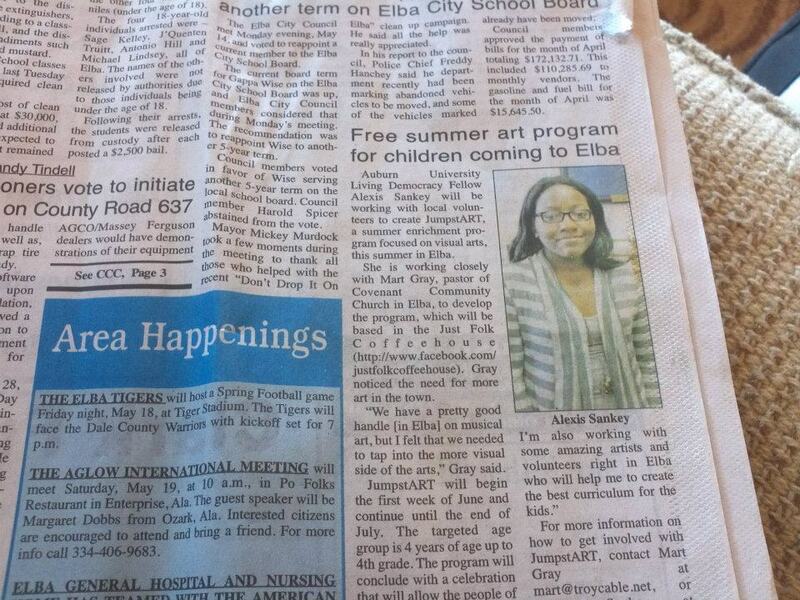 Auburn University student Sierra Lehnhoff will work with her community partner, Mart Gray, local citizens and the city of Elba through the Living Democracy program to host a children’s art class. 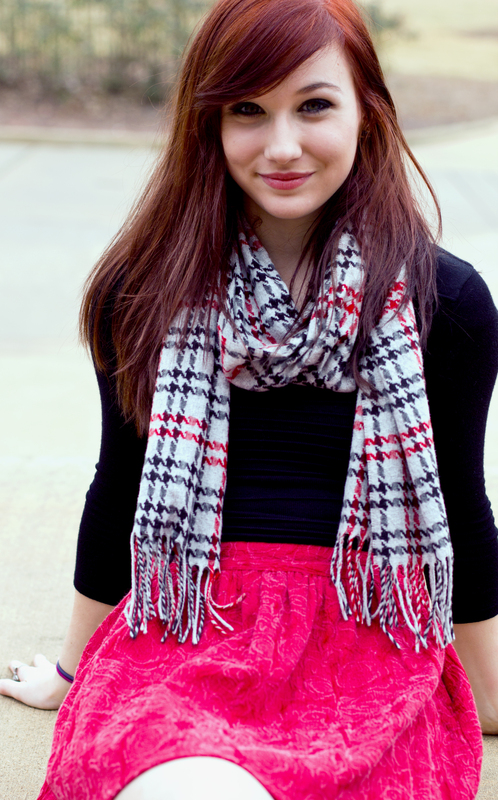 She will also develop community art projects and summer events starting May 8. Lehnhoff encourages children from ages 7-12 to come and take part in JumpstART, a creative art progam started by another Living Democracy student, Alexis Sankey, last summer. Interested parents can email her at sierralivingdemocracy@aol.com if they have a child who may wish to be in the program. Lehnhoff is also interested in enlisting local artists to present once a week in the children’s classes. She explains, “It’s a great opportunity to connect with the younger community, and a piece of the participating artist’s work, as well as the work the children create will be displayed in Just Folk Coffeehouse. She encourages artists to email her as well. In addition to the art program, Lehnhoff will be involved in a range of programs such as a Water Day by the River event with kayak races and grilling out, a community wall mural in the downtown, a Zombie 5K run, and an artists’ walk/ market day in the downtown square. To participate in an events committee for any or all of the programs this summer, contact Lehnhoff at sierralivingdemocracy@aol.com. For more information on Living Democracy, visit: www.cla.auburn.edu/cla/cce/initiatives/living-democracy/. Auburn University Living Democracy Fellow Taryn Wilson will be living in Selma to help develop a portion of a canoe trail from May 17 to July 27. 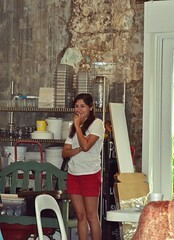 She will be working with the Selma Dallas County Chamber of Commerce and Old Cahawba Archaeological Park. Wilson hopes to work with local students to develop improved access to the river for locals and tourists on a section of the river that will end at Old Cahawba. A sophomore studying entrepreneurship and family business at AU, Wilson will also be working to find a showcase for local Black Belt goods to be sold. 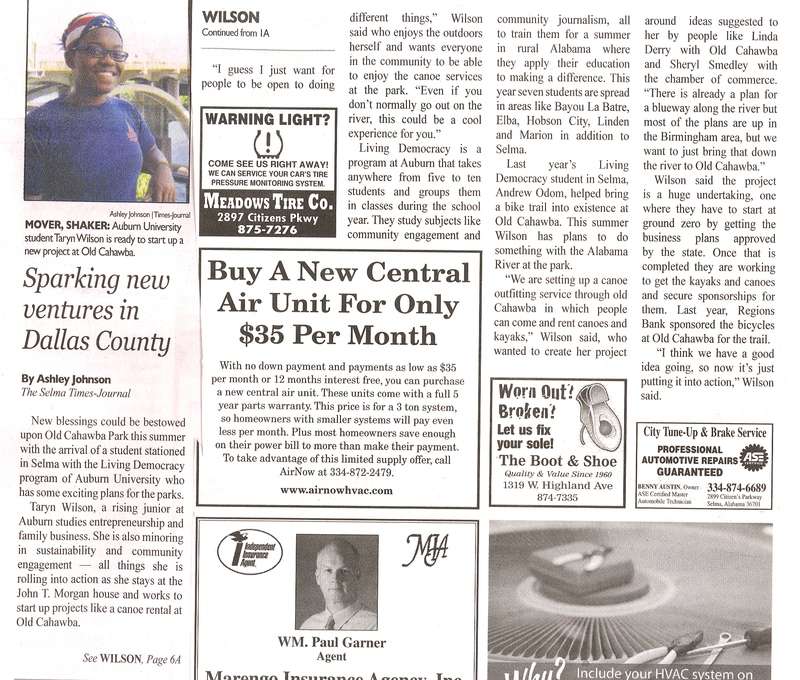 Wilson began planning her summer with community partners Linda Derry, site director of Old Cahawba Archaeological Park, and Sheryl Smedley, executive director of the Selma-Dallas County Chamber of Commerce, in the fall of 2012. Her primary goals for the summer include working on creating new experiences for tourists, more family-friendly opportunities for interactive community involvement and more local entrepreneurship options. Wilson said she sees this project as an opportunity to use her skills to help establish local outlets for artists and entrepreneurs. She is impressed by Selma’s homegrown businesses like EvMarie’s Cupcakery. An avid fan of the outdoors, Wilson said she can’t wait to get into Selma to help develop a section of the canoe trail. “I’m excited about working on the Alabama and Cahaba rivers, natural wonders right in Selma’s back yard,” she said. 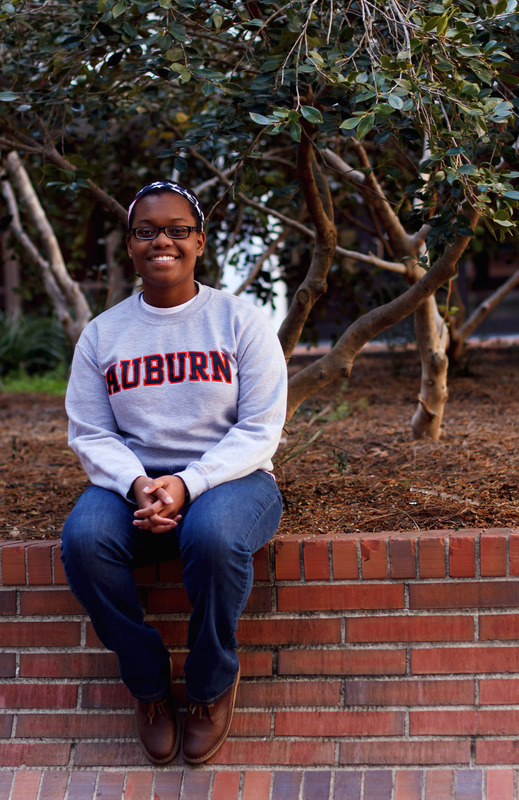 Wilson is a fellow in the Auburn University Living Democracy Project in the College of Liberal Arts. This project is a yearlong collaboration between students and citizens on issues that matter to local communities. For more information on Living Democracy, visit: http://www.cla.auburn.edu/cla/cce/initiatives/living-democracy/. 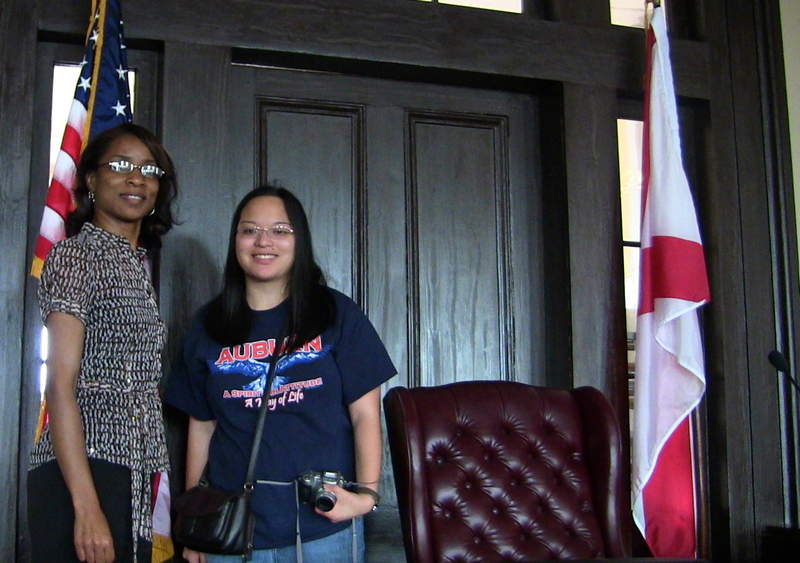 Local students or citizens who would like to assist Wilson can contact her at tjw0019@auburn.edu. 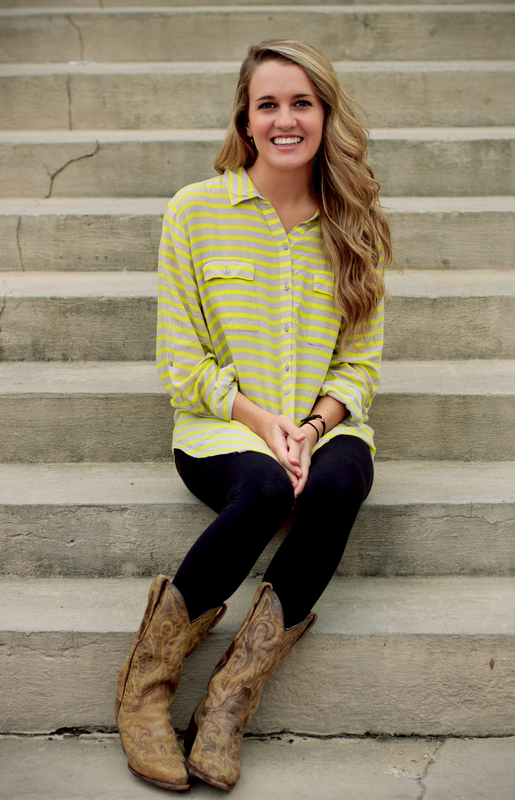 Auburn University student Mary Beth Snow will be living and working in Collinsville this summer as she partners with the Collinsville Public Library on various projects. Her main community partners are Jennifer Wilkins and Margaret Goldthreat, librarians, and Myles Smith, library board chair. Her goals for the summer include starting a bilingual newsletter, working on downtown beautification projects, and compiling a photojournalistic representation of the town. Snow, a freshman majoring in Spanish, will also be teaching Spanish language classes to adults who are interested in learning to communicate with their Spanish-speaking neighbors. Classes will be held at night at the Collinsville Library. Snow says that she “can’t wait to get to know the Collinsville people,” adding that she hopes citizens of all ages get involved with the projects this summer. 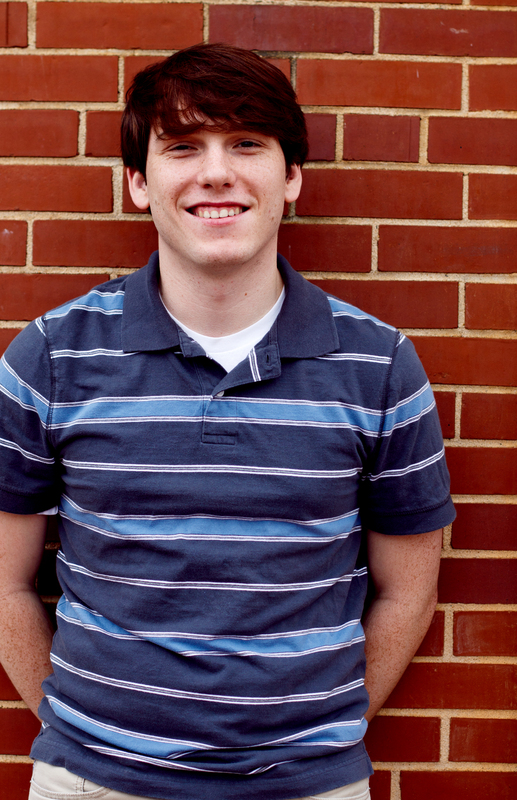 Auburn University student Kaleb Kirkpatrick will be working with the City of Linden and the Marengo County Economic Development Authority to help plan and coordinate community events this summer. The main event will be a downtown art walk that is scheduled in conjunction with the city’s carnival. Kirkpatrick said he hopes to engage citizens throughout the city and surrounding areas in the event. His primary partners for this summer are Brenda Tuck, executive director of the Marengo County Economic Development Authority, and Kathryn Friday, county extension coordinator. They hope to find local citizens and high school student volunteers to help with the celebration. The celebration will be the June 27-29 in the downtown Linden. Carnival activities are planned along with an art walk. Volunteers will be asked to do a variety of activities, such as setting up the day of the event, organizing and directing people to the event. 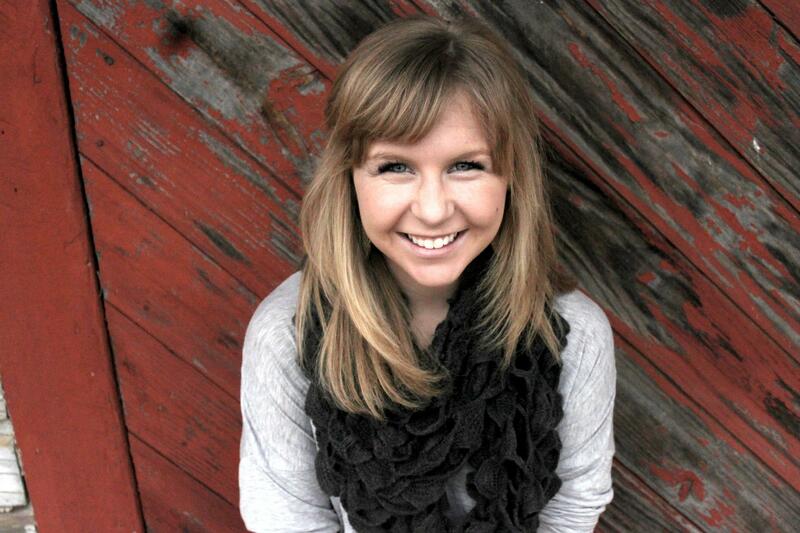 Auburn University Living Democracy Fellow Catherine Tabor will be living in Marion to create two local youth programs from June 10 to Aug. 19. She will be working with the Alabama Cooperative Extension System (ACES), Francis Marion High School and Albert Turner Sr. Elementary. Tabor will be coordinating programs for young, involved and motivated students and citizens looking to make a difference in their town. 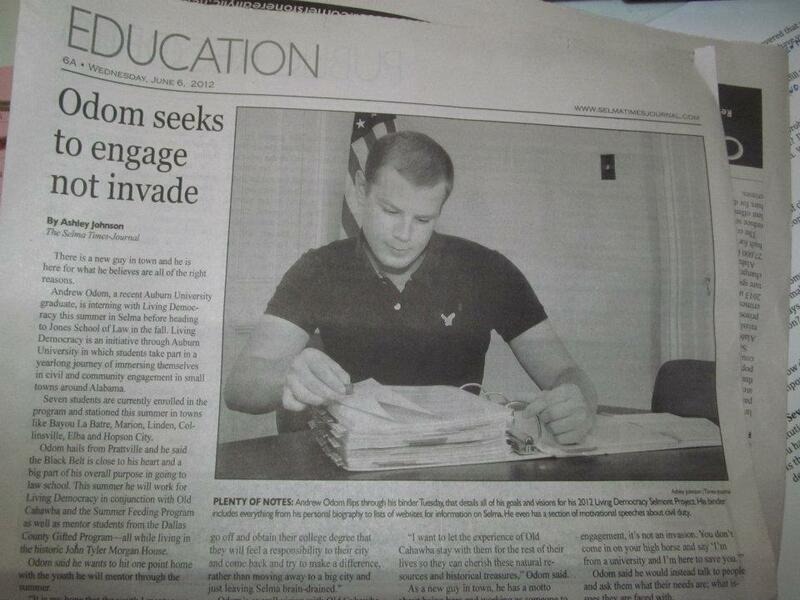 While seeking youth participation, Tabor wants parents and other interested citizens to be actively involved. Tabor has met several times with her community partner, Katrina Easley, Extension Coordinator for Perry County, to develop the projects. 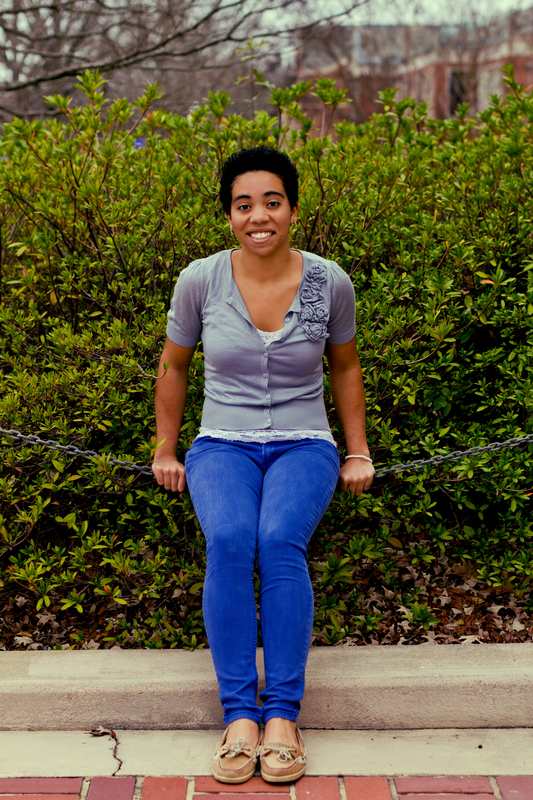 Tabor is a fellow in the Auburn University Living Democracy Project in the College of Liberal Arts. This project is a yearlong collaboration between students and citizens on issues that matter to local communities. For more information on Living Democracy, visit: http://www.cla.auburn.edu/cla/cce/initiatives/living-democracy/. 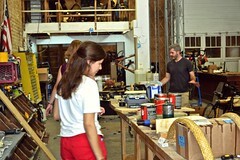 For more information on the summer programs, contact Tabor at Cat0024@auburn.edu. The residents of Alabama’s seafood capital, Bayou La Batre, Ala., treasure their home for its natural beauty and bountiful harvest from the sea. However, the 2010 BP Oil Spill and devastating hurricanes have created challenges Living Democracy Fellow Laney Payne said she hopes to help address in the summer of 2013 when she lives and works in the community. Payne, a 23-year-old junior in psychology at Auburn University, will spend the summer working with citizens and her community partners Dr. William Walton, assistant professor in Auburn University’s Marine Fisheries and Aquaculture department, and Julian Stewart, Alma Bryant High School’s Aquaculture Program director. She will be working with her community partners and local citizens on creating a project titled “Half Shell High School” that will develop an oyster-farming model to be used by Alma Bryant High School students and further educate youth on opportunities within the industry. Payne will also be working with “Bayou Angel” Daphne German of the Hemley Road Church of Christ and community members on a variety of projects. Bayou La Batre is a diverse place, with 22.8 percent of the population identifying as Southeast Asian, including Vietnamese and Cambodians. The diversity of the community influences the culture of this Mobile County community, Payne said. Auburn University sophomore Audrey Ross will be living and working in Hobson City from May 24 to Aug. 1 to create a youth leadership program. She will be working with community partners Eric Stringer and Charity Bentley of the Hobson City Community and Economic Development Corporation (HCCEDC) and other local citizens to get youth involved in their own community. With a background in education and a major in math education, Ross has a passion for educating the world’s future leaders. She plans to create a unique leadership program that allows youth to learn first hand what it takes to make a difference and give them the skills and confidence necessary to do it on their own. Working in conjunction with Donna Ross of the Hobson City Library, the youth in the program will be creating their own project ideas and organizing community events of their choice for Hobson City. They will learn how to make their community what they want it to be. Any youth in Hobson City or the surrounding areas are encouraged to participate and can contact Audrey Ross at (479) 238-3295 or adr0016@auburn.edu. 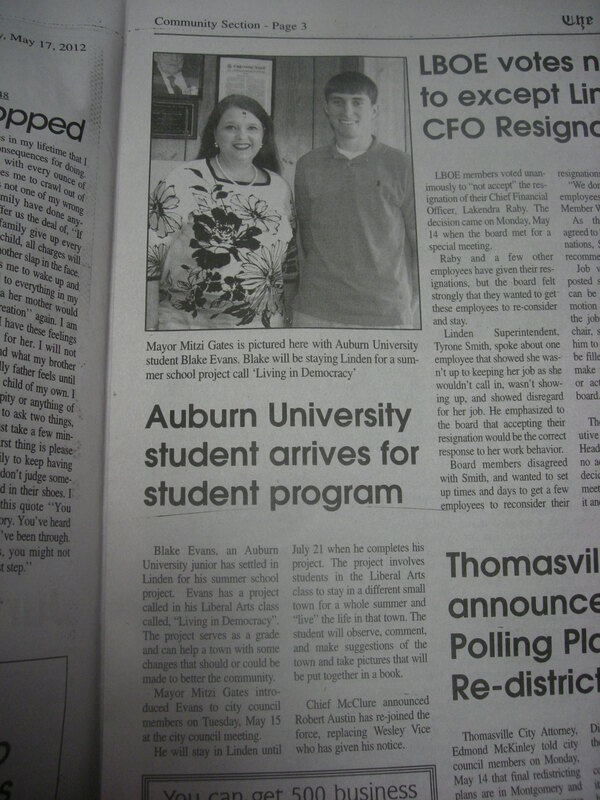 Ross is a fellow in the Auburn University Living Democracy Project in the College of Liberal Arts. This project is a yearlong collaboration between students and citizens on issues that matter to local communities. For more information on Living Democracy, visit: http://www.cla.auburn.edu/cla/cce/initiatives/living-democracy/.